My first travel excursion taking my new Canon Powershot SX700 with 30x zoom lens was 9 days Solo Travel in Barcelona – a magnificent trip and I highly recommend Barcelona for solo travelers! The Canon SX700 was an excellent choice as my new travel camera. Video 1080p/60p Full HD – Operates at the touch of a button rather than having to click a switch to change from camera mode. I love this feature! I am no video expert but I found the video capture impressive. Videos are recorded in MP4 format. Record in 30 or 60 fps (frames per second). Marvelous feature creates a highlights video by capturing up to 4 seconds of video before each still shot. The SX700 saves each photo but the magic happens when it automatically joins together the videos into one highlights video reel at the end of the shoot. 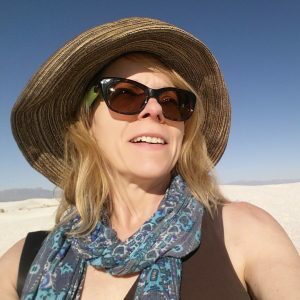 (35mm equivalent: 25–750mm) – the main feature that prompted me to buy the SX700 in the first place was the powerful 30X zoom lens – I didn’t find any other point-and-shoot camera with such a powerful zoom lens. This cool little feature helps you track a moving subject. Click the zoom framing assist button on the left side of the camera body – the camera zooms out to a wider range allowing you to more easily follow a moving subject. When subject is in view release the button and the camera zooms back and keeps the subject in focus. I found the battery to be excellent however I still keep a spare battery just in case – I could get around 500 photos out of one battery. If the battery dies while shooting video I found that if I wait a few minutes and turn on the camera again I could still get another 30 or so photos out of it. While shooting photos no such luck – but the low battery warning starts blinking long before the battery dies out completely so you can make an effort to be more conservative with your use of battery power. The Canon SX700 automatically analyzes movement and adjusts the shake correction to maximize the best final outcome for your photos. My previous camera was the Canon Powershot SD1300 IS and I noticed a substantial improvement on the image stabilization with the SX700. I like to travel light so the size (WxHxD: 4.44 x 2.59 x 1.37 in. / 112.7 x 65.8 x 34.8mm) and weight (9.49 oz/269 g) of the SX700 was excellent. I could easily fit the camera in my jeans pocket but mostly carried it in my Kavu travel handbag. I found the camera and case just fit into a quart size (.94 L) zip-lock bag (along with my Blackberry) to protect it from rainstorms. Most frustrating thing about the SX700 is the fact that I was taking photos and I often times accidentally brushed my thumb along the view button while holding the camera body – thereby changing the camera out of shooting mode and into view mode. This button is far too sensitive – especially given the small size of the camera body. Numerous times I pulled the camera out of the camera bag and the view window was operating. I have no way of knowing if it turned on as I was pulling the camera out of the case or if it was on whilst in the camera bag and eating up valuable battery time but I suspect it was. This was my main complaint when I did my initial review of the SX700. I found that often while utilizing the zoom lens and focusing on a subject the camera would lose focus on the subject even though it was still in the frame. I was often able to refocus by zooming out and back in again but not always, sometimes I just could not get the camera to focus on the subject again – frustrating! I did not spend enough time learning about all the features of the Canon SX700. I know I need to do more reading and playing around with the following features of this camera. An interesting feature I think is the ability to connect with certain iOS and Android devices to transfer images to your smartphone or tablet – or use these devices as a remote control for the camera. I could see this being useful if you are trying to shoot wildlife – set up the camera with a tripod and then hang back out of the way. Or take a group photo without having to run from the camera back in place within the group. The SX700 utilized Near Field Communication (NFC) technology which allows the user to simply tap the NFC logo on the camera to their device (free app download required) and voilà the download screen appears on the device. User can share photos or video directly from the camera utilizing Canon Image Gateway with certain iOS and Android devices. Share to Facebook, Twitter, YouTube, Flickr, and Google Drive. Photos can also be saved to the Canon Image Gateway for sharing later or simply to keep as a backup. This is not a complete list all of the features and specs of the Canon SX700 – you can find the full list on Canon’s website here. I purchased my Canon Powershot SX700 from Amazon for $349.00 with free shipping however I noticed it listed on Amazon for only $329 shortly after I purchased it and last time I checked it was down to $279 on Amazon with free shipping. I note that Canon lists the estimated retail price at $349.99 so you can save a few bucks by buying from Amazon or check your local camera store – and get free shipping. 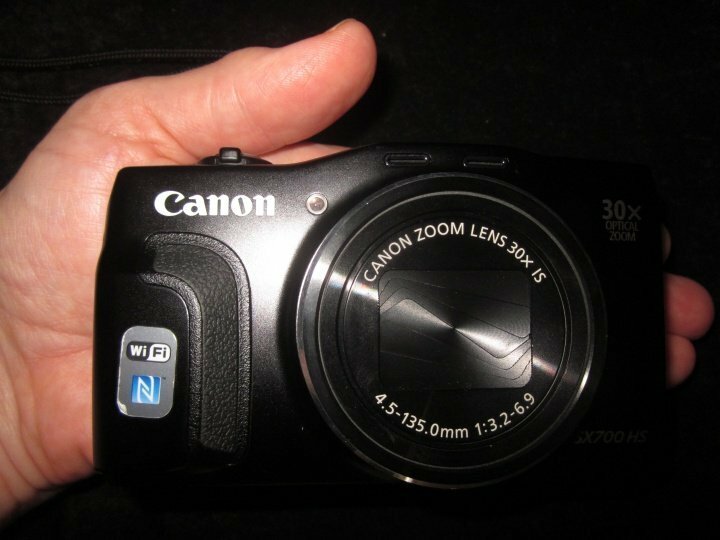 Am I happy with my choice of the Canon Powershot SX700 with 30x optical zoom – absolutely! Do you have a favorite travel camera? What features do you love or would you love to have on your camera?